where Wanted in Rome processes personal information on behalf of other data controllers, for example, when we process personal information when rendering services to customers located in the EU on behalf of a data processing agreement in the capacity of a data processor. If you have any questions relating to our processing of personal information described under (i), please have a look at [LINK to main PP], or under (ii), please consult with the EU entity who is responsible for the processing of your personal information. We, Società della Rotonda Srl, Via della Coppelle 9, 00186 Rome, Italy, (“Wanted in Rome ” or “we ”) is the data controller. We are responsible for, and control, the processing of your personal information. If you create an account : Your name, email address, time zone and a list of Facebook Pages you own (page names, IDs, categories, number of likes). If you use our Products or Services: Your name, gender, language settings, time zone and avatar picture as long as your privacy settings permit access to these pieces of information. If you use third-party account credentials to log in to our Services : We may collect some information associate with your third-party account such as your name, email address, time zone and a list of Facebook Pages you own (page names, IDs, categories, number of likes). If you contact us (via our Website or via phone, email or letter), e.g. for a support request, respond to a survey, or send us an inquiry : Name, e-mail address, IP address, information on our communication with you and any additional information you provide us with. personal information you provide to us : Most of the personal information we receive comes to us voluntarily from our users in the course of using our Services, such as when visiting our Website, communicating with us or in the process of requesting our Services. You are free to choose which information you want to provide to us or whether you want to provide us with information at all. However, some information, such as your name, email address, Facebook ID, and information on your requested Services may be necessary for the performance of our contractual obligations. Without providing this information, you will not be able to order certain Services or enter into a contract with us. 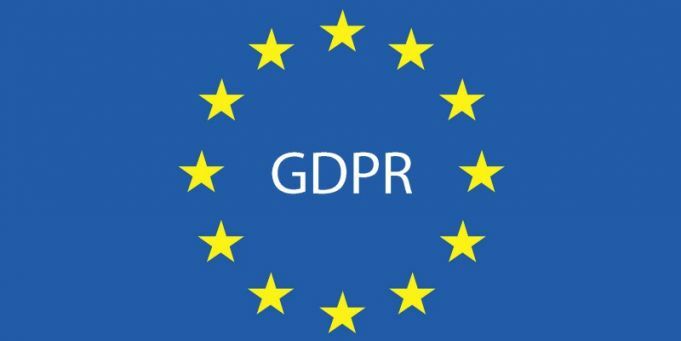 Please note, the notice on the legal grounds refers to the legal justifications under the GDPR which only applies to our operations to the extent we service or monitor EU residents. We use your information in order to perform our contractual services or prior to entering into a contract with you . If you order Services from Chatfuel or if you contact us to request our Services, we use your information to provide you with these Services. Information we use includes: information we need to contact you or otherwise communicate with you; if you are a registered user: information to manage your account; information to enable the usage of Services; information for invoicing and payment follow up. We use your information if justified by our legitimate interests . The usage of your information may also be necessary for our own business interests. For example, we may use some of your information to evaluate and review our business performance, create financial statements; improve our Services or to identify potential cyber security threats. If necessary we may also use your information to pursue or defend ourselves against legal claims. We may use your email address and names for our email marketing campaigns. You can object to this use at any time by following the link to unsubscribe at the bottom of our marketing emails. We use your information after obtaining your consent . In some cases, we may ask you to grant us separate consent to use your information. You are free to deny your consent and the denial will have no negative consequences for you. You are free to withdraw your consent at any time with effect for the future. If you have granted us consent to use your information, we will use it only for the purposes specified in the consent form. We use your information to comply with legal obligations . We are obligated to retain certain information because of legal requirements, for example, tax or commercial laws. Service providers and advisors : Third party vendors and other service providers that perform services for us or on our behalf, which may include marketing campaign services, providing mailing or email services, tax and accounting services, product fulfilment, payment processing, data enhancement services, fraud prevention, web hosting, or providing analytics services; These third parties include: Google Cloud, Microsoft Azure, Sendgrid, Intercom, Stripe, Facebook, etc. Any such service providers will by appropriate data processing agreements be bound to only process the data on Wanted in Rome’s behalf and under its instructions. Promotional partners : Third parties with whom we partner to provide promotional activities, which will be identified by name in the context of these activities. 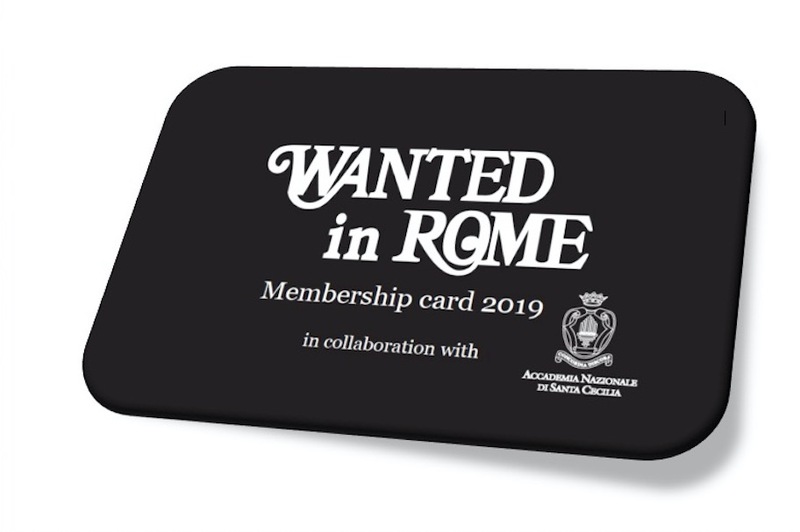 Wanted in Rome has partnered with third parties who provide promotional activities in the past and intends to partner with them in the future. However, Wanted in Rome does not partner with any such third party at the moment. These partners will be identified by name in the context of these activities. Purchasers and third parties in connection with a business transaction : Personal information may be disclosed to third parties in connection with a Wanted in Rome -related transaction, such as a merger, sale of Wanted in Rome assets or shares, reorganization, financing, change of control or acquisition of all or a portion of our business, or in the event of a bankruptcy or similar proceedings. Law enforcement, regulators and other parties for legal reasons : Third parties as required by law or subpoena or if we reasonably believe that such action is necessary to (a) comply with the law and the reasonable requests of law enforcement; (b) to enforce our legal claims or to protect the security or integrity of our Services; and/or (c) to exercise or protect the rights, property, or personal safety of Wanted in Rome, our visitors, or others. We will store personal information for as long as necessary to fulfil the purposes for which we collect the personal information, in accordance with our legal obligations and legitimate business interests. In general, information obtained in the course of providing our Service will be blocked from general access within a few days and deleted latest within 3 years after the end of us providing our Service, unless an earlier deletion is requested or has been agreed upon, or statutory retention requirements require a longer retention or we need to retain such data for own legitimate interests, for example, the defense against IT security threats. For example, national commercial or financial codes may require to retain certain information for up to 10 years. We use or may use the data collected through tracking technologies to: (a) remember information so that you will not have to re-enter it during your visit or the next time you visit the site; (b) provide custom, personalized content and information, including targeted content and advertising; (c) identify you across multiple devices; (d) provide and monitor the effectiveness of our Services; (e) monitor aggregate metrics such as total number of visitors, traffic, usage, and demographic patterns on our Website; (f) diagnose or fix technology problems; and (g) otherwise to plan for and enhance our Services. Analytical/performance cookies . These allow us to recognize and count the number of visitors and to see how visitors move around the Services when they are using it. This helps us to improve the way the Services work, for example, by ensuring that users are finding what they are looking for easily. Functionality cookies . These are used to recognize you when you return to the Services. This enables us to personalize our content for you, greet you by name and remember your preferences (for example, your choice of language or region). Targeting cookies . These cookies record your visit to our Website, the pages you have visited, the links you have followed and may also gather information about your online activity after you leave our Website. We will use this information to make our Website, the advertising displayed on it, and the marketing messages we send to you more relevant to your interests. We may also share this information with third parties who provide a service to us for this purpose. Third party cookies . Please be aware that advertisers and other third parties may use their own cookies tags when you click on an advertisement or link on our Website. These third parties are responsible for setting out their own cookie and privacy policies. Cookie settings in Safari web and https://support.apple.com/kb/ph21411?locale=en_US. We may collect analytics data or use third-party analytics tools, such as Yandex Metrica , Google Tag Manager, Fullstory, Appcues and Intercom, to help us measure traffic and usage trends for the Service and to understand more about the demographics of our users. Under EU legislation residents are entitled to contact us to prevent disclosure of Personal Information to third parties for such third parties’ direct marketing purposes; in order to submit such a request, please contact us at info@wantedinrome.com. Individual Rights . You have specific rights under applicable privacy law in respect to your personal information that we hold, including a right of access and erasure and a right to prevent certain processing activities. Right of access . The right to obtain access to your personal information. Right to rectification . The right to obtain rectification of your personal information without undue delay where that personal information is inaccurate or incomplete. Right to erasure . The right to obtain the erasure of your personal information without undue delay in certain circumstances, such as where the personal information is no longer necessary in relation to the purposes for which it was collected or processed. Right to restriction . The right to obtain restriction of the processing undertaken by us on your personal information in certain circumstances, such as, where the accuracy of the personal information is contested by you, for a period of time enabling us to verify the accuracy of that personal information. Right to portability . The right to portability allows you to move, copy or transfer personal information easily from one organization to another. Right to object . You have a right to object to any processing based on our legitimate interests where there are grounds relating to your particular situation. You can object to marketing activities for any reason whatsoever. Cookies Settings and Preferences . You may disable cookies and other tracking technologies through the settings in your browser. In addition to the afore listed rights, as an EU resident, you have the right to lodge a complaint with your local data protection authority. Further information about how to contact your local data protection authority is available at http://ec.europa.eu/justice/data-protection/bodies/authorities/index_en.htm.